The company has received a 2017 Queens’ Award for Enterprise Innovation having won a Queen’s Award for International Trade in 2016. 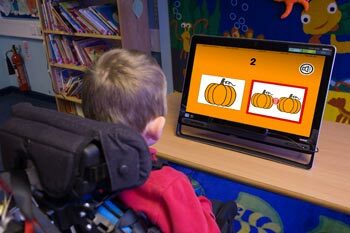 Inclusive Technology, which is based in Oldham, Lancashire, develops and sells assistive technology for learners with special educational needs. The 2017 ‘Queen’s Award for Enterprise - Innovation’ has been awarded for ChooseIt! Maker 3 (CM3). 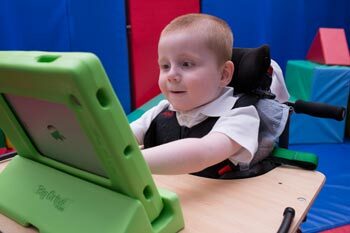 CM3 is a popular online classroom resource for learners with special or additional needs. It allows teachers to create activities, personalised for an individual child or teaching group. To create a personalised activity teachers can add images, take photos, record sounds, draw or paint. In addition there is a built-in searchable media library with 30,000 pictures and symbols allowing the creation of national or core standard curriculum activities in minutes. Every CM3 activity automatically records each learner’s progression and achievements. Results can be saved and shared with the learner’s parents. Once created the activity can be used on the classroom computer or, crucially, published as an App to be used anywhere offline — at home or in the family car for instance. To date 97,000 activities have been created. Each can be shared freely with classmates or with a twinned school here or overseas. Kenzie enjoys an iPad App created for him which he can use offline, anywhere. 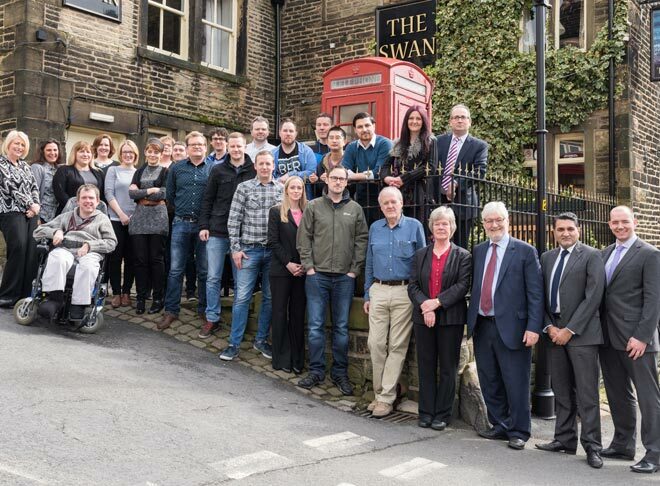 Inclusive Technology has been based in Oldham, Lancashire since its formation in 1996 and currently has 29 employees. ChooseIt! Maker 3 won the top software awards in Britain and in the United States in its first year.